In this fun new workshop we will combine printmaking with collage! In the first half of the workshop you will create your own set of colorful and patterned collage papers with acrylic paint. I will show you how to use Gelli Printing Plates which are an easy and fun way to produce monoprints in a variety of creative ways, without the need for a press. 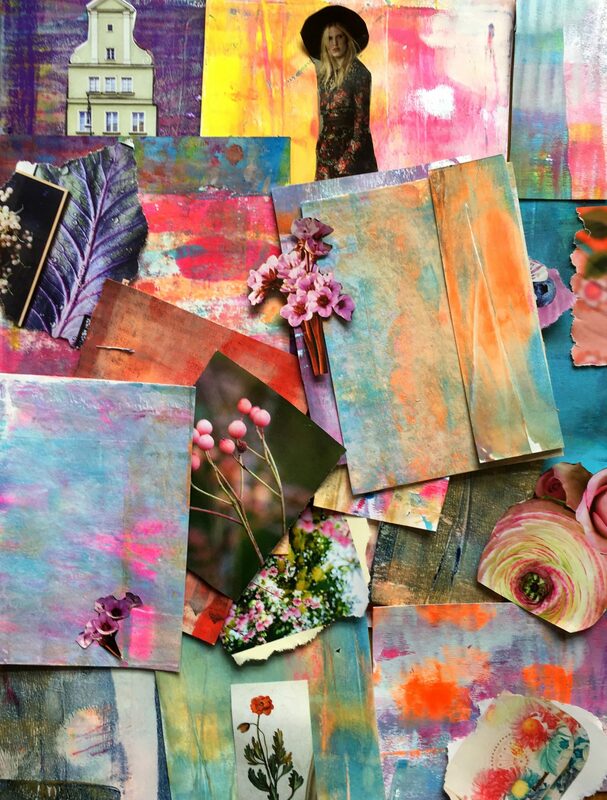 In the second part of the workshop you will learn different options how to incorporate your beautiful printed paper in a collage with other visual elements, like magazine images, etc. – special attention will be given to color and composition. No previous experience is required to participate. All materials will be provided.